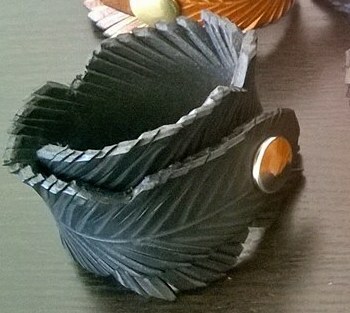 A high quality 31/2 mm leather cuff. A high quality 3 1/2 mm leather cuff. Hand cut.